A famous Wolverine got an up close look at one of the National Zoo's most famous residents. 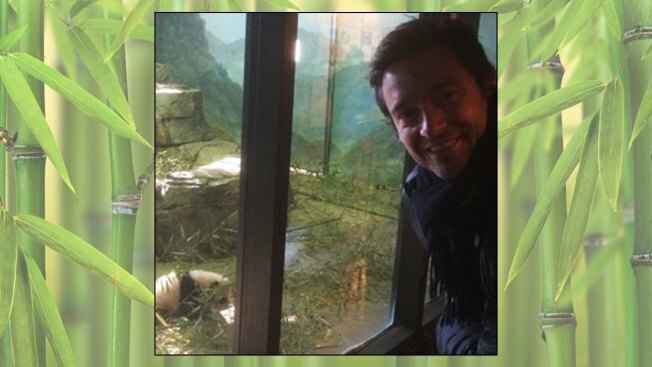 Actor Hugh Jackman visited with the zoo's 16-week-old giant panda cub, Bao Bao, and her mom, Mei Xiang, Sunday, posting two pictures from his visit on Instagram. While the National Zoo would not comment on Jackman's visit in detail, an official did confirm that the star of the X-Men franchise was at the zoo with his family. The zoo official said Jackman's visit was personal in nature. Jackman was in town to host TNT’s annual "Christmas in Washington" concert. The star-studded event included performances from Backstreet Boys, Sheryl Crow and Anna Kendrick. The first family was also in attendance for the concert, which benefits the Children's National Health System. While Jackman got to visit Bao Bao, the rest of us have a little longer to wait until we can see the cub. Zoo officials say Bao Bao could be on display as early as January 2014. But while you wait, the zoo's Giant Panda Cam may help satisfy all your panda viewing needs. 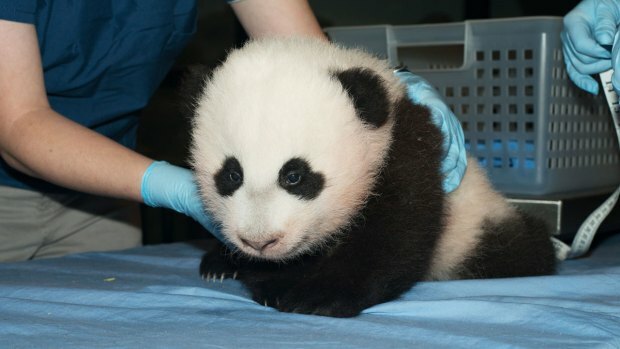 Bao Bao, whose name was revealed during a ceremony Dec. 1, was born at the zoo Aug. 23. At the time of her naming ceremony, the cub weighed 11.66 pounds and had recently taken her first steps.